Borough President Eric Adams, New York City Public Advocate Letitia James and possibly Senator Chuck Schumer are scheduled to join the January 18th community rally to save the historic Riegelmann Boardwalk. 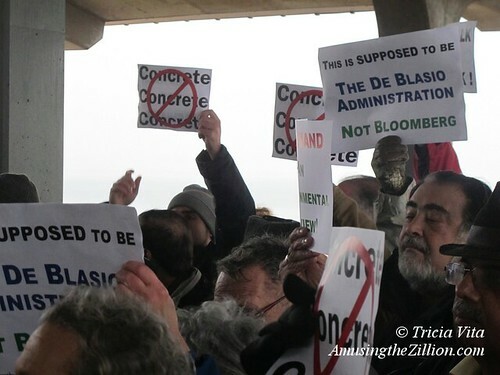 Councilman Mark Treyger and Councilman Chaim Deutsch, whose districts include the Coney Island-Brighton Beach Boardwalk, organized the rally, which is at 1pm on the Boardwalk at Coney Island Avenue in Brighton. 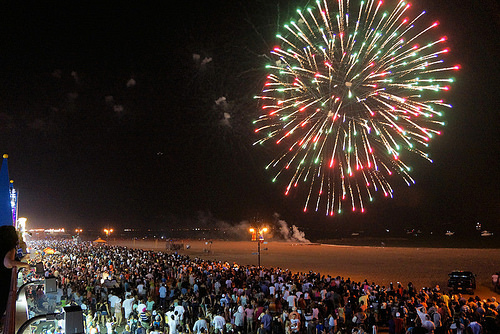 Take the Q train to the Brighton Beach stop and then walk one block to the Boardwalk. We hope YOU will join the rally, too. 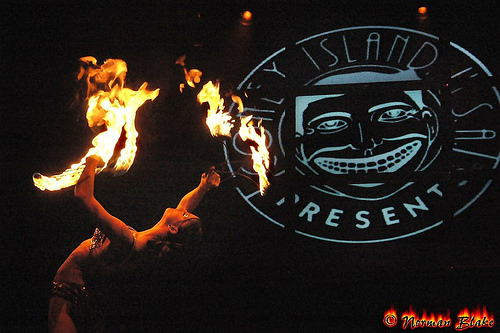 It’s not an exaggeration to say this may be our last chance to save the Boardwalk. 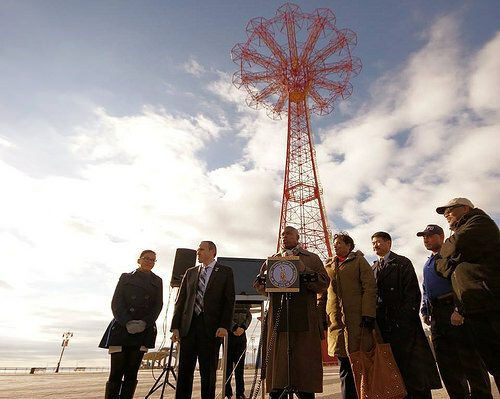 Last month, New York City’s Landmarks Preservation Commission used a form letter from 2012 and incorrect info to reject the Council Members’ petition, according to “Coney’s Boardwalk Should Be a Landmark,” an essay by historian Charles Denson of the Coney Island History Project. Meanwhile, the City’s Parks Department and its commissioner Mitchell Silver are going ahead with a project to make a concrete roadway for so-called “emergency vehicles” (garbage trucks, Parks Dept vans etc.) 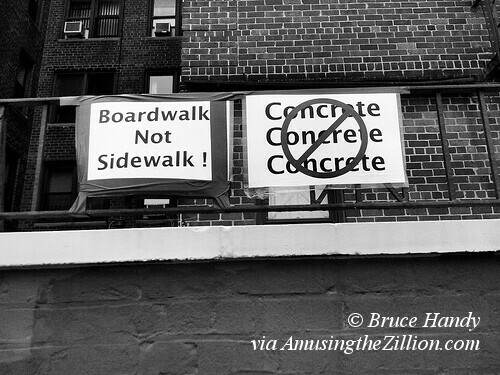 on the Boardwalk in Brighton Beach, a pilot project approved in 2012 by six appointees of Mayor Bloomberg. 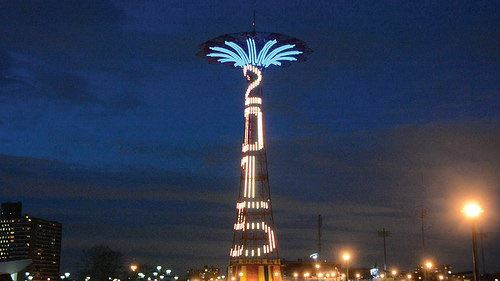 The Borough President co-sponsored Coney Island’s first New Year’s Eve celebration including an LED light show and fireworks at the Parachute Jump, fulfilling a promise he made during the campaign. 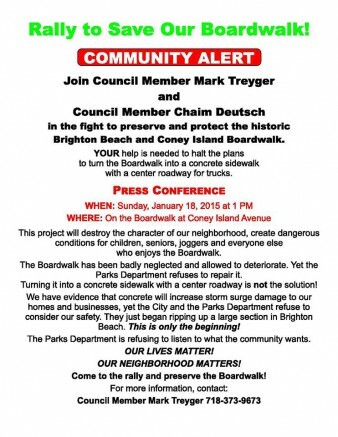 “The Riegelmann Boardwalk is imprinted with over 90 years of history, helping to establish Coney Island as America’s playground,” Adams said in December, in support of CM Treyger and Deutsch’s petition to make the boardwalk a Scenic Landmark.